View Poll Results: What's your preferred controller button layout? No Preference - They're all fine! A friend of mine shared this image. The XBox 360 and One have been my primary consoles the last two generations so i'm accustomed to their placement of the ABXY buttons, enough so that seeing the X button on screen or remembering where Square or Triangle are in a game will throw me off a little bit when i'm using any Sony DualShock controller. That's even though I own a PS2/3/4 and spent enough time using a NES, SNES, and Wii. The Steam controller also uses the same layout as the XBox and Dreamcast. So do you guys have a layout you're used to, or are you a master of all with no issues transitioning between different buttons? I was thinking of listing more options, but figured I'd stick with the modern layout rather then include the different ones like the N64 or Gamecube since it seems like we've standardized on that diamond layout. 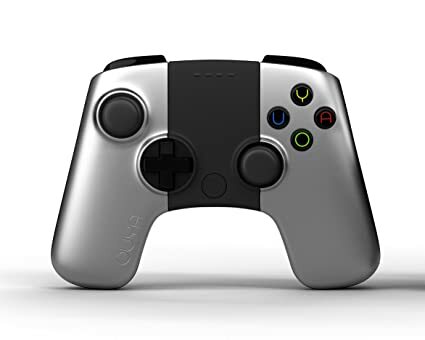 If you're a fan of the OUYA, my bad. Although i have to say I did like the ABC/XYZ Sega Genesis controller for Street Fighter. The original Microsoft Sidewinder controller that I loved on PC used that too. Last edited by fumanstan; 01-16-16 at 05:15 PM. Re: What's your preferred controller button layout? I can't even remember the last time I even thought about button layouts. I have all three consoles and switch between the three regularly and don't even think about it. I can manage with all of them, but XBox/Dreamcast is my preference. I do still have occasional issues with triangle and square on the Sony systems (despite owning PS1 2 3 & 4 through the years), but it's not a dealbreaker or anything. The analog placement is more frustrating, I think. The only one I have issues with is the Wii U gamepad. I have a general idea of what button does what when playing a game. 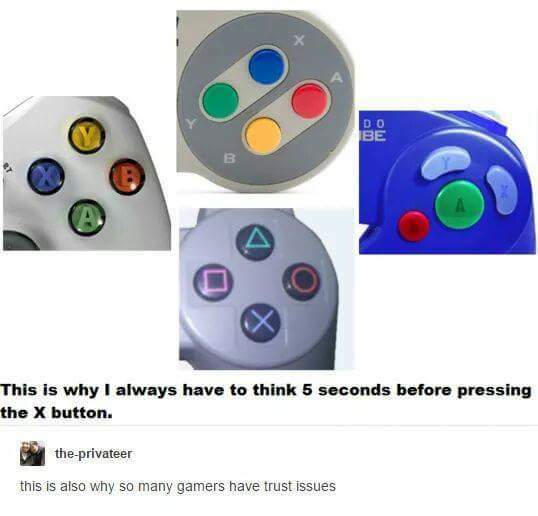 But couldn't tell you the letters on the buttons. Spent the first two years of owning a PS4 retraining my brain where X was. Just got an X1 in November and now I'm getting tripped up again. View Next Unread Your Top 10 Games of All-Time?